"Legendary inspirational sell out workshops that leave artists feeling motivated and inspired." Jean is the author of' popular international best selling books "Atmospheric Watercolours" and "Jean Haines World of Watercolour." This is a wonderful opportunity to stretch yourself with what is described as the most fascinating of mediums. Haines is a highly in demand artist worldwide, whose enthusiasm and passion for watercolours is outstanding. Haines is renowned for her extremely motivational teaching methods. This is an opportunity not to be missed. 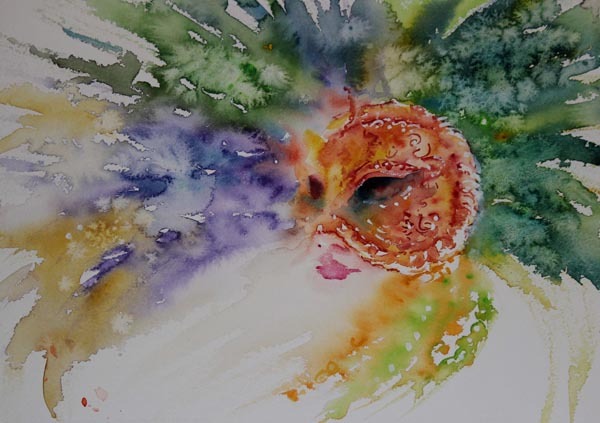 Jean will be holding two exciting, two day workshops covering her techniques in watercolour. Each exciting workshop will be looking at how to work in a loose style minus the use of a preliminary sketch, painting a variety of subjects in ways that seem to magically bring them to life. From the first decision of choosing what to paint, to selecting a wide range of techniques along with dramatic colour combinations for adding impact to gain unique results. Each workshop will aim at bringing the best out of you as an artist and have you leaving feeling inspired. To learn more about Jean, visit her website at: jeanhaines.com. REGISTER or WAITLIST for the Jean Haines Watercolor Workshop (Metairie, LA) by submitting the fill-out form below. No refunds after January 3, 2017.